In a previous post we showed you all kinds of pictures of the cochlea and how there are as many as 20,000 hair cells within this wonderful little organ, but have you ever wondered why there are so many different cells? In a word, it’s called “tonotopy:” a Greek word meaning sound + place. But what is tonotopy, and what does it have to do with how the ear hears sound? Let’s find out! It all began in 1961. At the time, scientists knew that the cochlea contained thousands of nerve cells and that they were spread along the length of the cochlea. However, there was no conclusive proof as to what (if any) relationship there was between different nerve cells and different sounds. As you can see, each frequency of sound stimulates the cochlea at a different place. 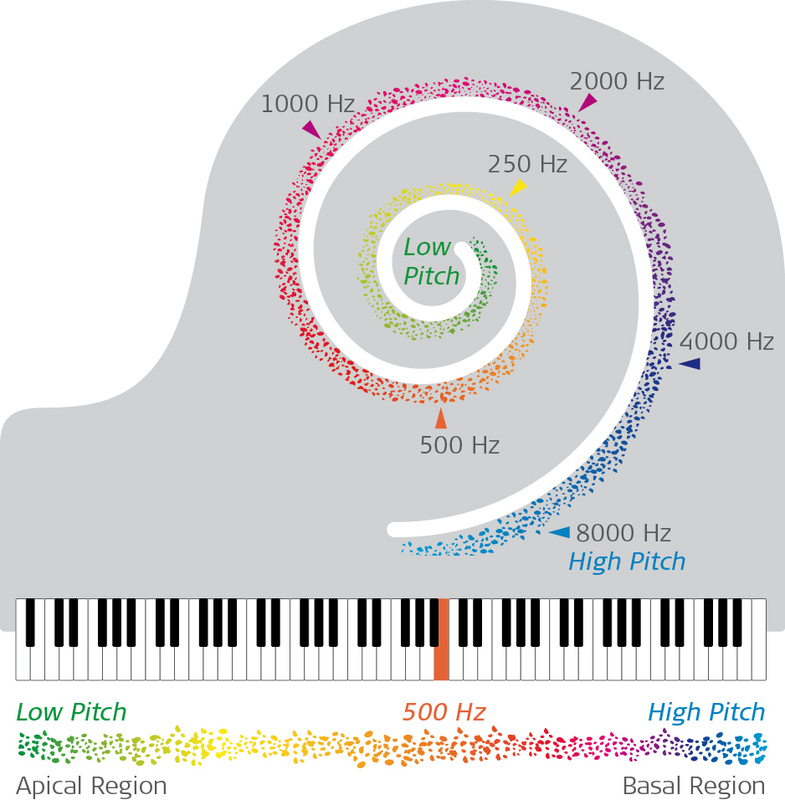 For example, higher frequencies of sound (like birds chirping) stimulate the cochlea near to the base while lower frequencies (like an airplane’s engine) stimulate the very top of the spiral. But what impact does this have for hearing? It means that if nerve cells in a specific part of the cochlea are missing or non-functioning, then it won’t be possible to hear that specific frequency of sound. For example, as individuals age it’s common to lose some hearing in only the high frequencies of sound. This is because the nerve cells towards the base of the cochlea, the outermost part, become damaged while those in the apex, the innermost part, remain intact. Greenwood’s study also built a mathematical foundation for the design of all cochlear implant electrode arrays. Because only the apical nerve cells are responsible for the low frequencies of sound, this means that only by stimulating these cells directly can these low frequencies of sound be accurately perceived. Of course, the only way to get to the apex is with a long electrode array. 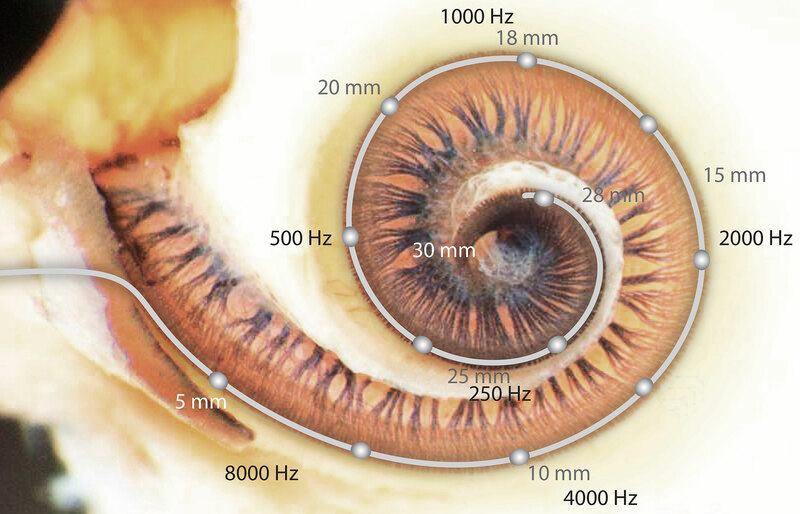 As you can see, to accurately stimulate sounds below 1000 Hz in this cochlea would require an electrode array that is longer than 18mm. Shorter electrode array lengths could cause sounds to be inaccurately perceived. It would be like having a full-sized piano with 88 keys but only being able to play the highest 44. The lowest note that you can have access to would sound lower-pitched than the higher-pitched notes, but you know that you’re missing out on all those truly low-pitched keys. For the fullest hearing experience, including deep bass tones, complete coverage of the cochlea is vital. That’s why MED-EL designs true full-length electrode arrays. 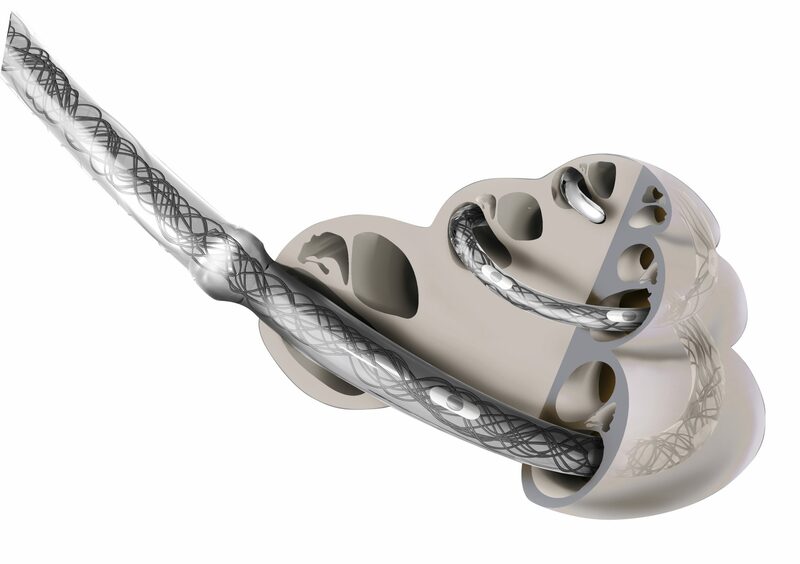 We do this to provide Complete Cochlear Coverage, because we understand the importance of stimulating the apical region of the cochlea. There’s even a full blog article about all the different types of MED-EL electrode arrays if you’re interested in learning more!